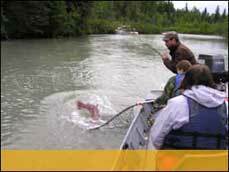 Your Alaska fishing trip will take place on the beautiful Little Susitna River or the Susitna River Tributaries (Map), a 90-minute scenic drive from Anchorage. 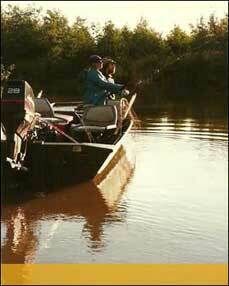 All charters are conducted from a custom 20ft river boat. For a quality experience, we book up to 4 or 5 guests in our boat, but we can accommodate up to 6 guests if they are all one party. Most of our guests prefer the 6-hour trip. Trips are scheduled to last a full 6 hours, including fish cleaning, or until each guest has caught/kept the limit of salmon, whichever occurs first. 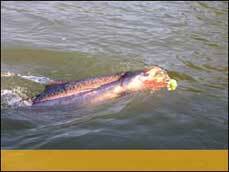 (For optimum fishing dates, see the salmon run timing chart. The morning trip departs at 5:30am; the afternoon trip departs at 12pm. This trip extends your fishing time an extra 2 hours and increases your opportunity to catch the fish of a lifetime. 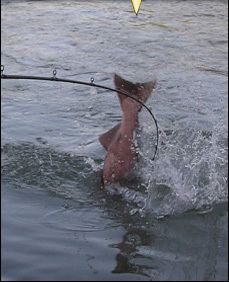 This is a popular option for king salmon fishing enthusiasts. Book the boat for exclusive use of the guide and boat for the specified length of time. Prices are based on groups of 4 people. Additional people can be added at the regular per person cost. Completing and submitting the on-line reservation form implies you have read and agreed to the terms and conditions stated below. The reservation will remain "tentative" until we contact you to confirm that the date and time you specified is available. Payments can be made by personal check, cash or through . To make your reservation by phone please call 1-907-376-0692 or toll free within Alaska 1-888-782-4200. 50% of the total is required to hold your reservation. Your confirmed reservation is tentative until we receive the deposit. The balance is due at the start of your trip if paying by check or cash. If paying by PayPal® balance is due 7 days prior to trip. Acord Guides Service will not be responsible or liable for loss, damage, or injury to guests or personal property or for cancellation expenses resulting from weather, transportation, or acts of God. 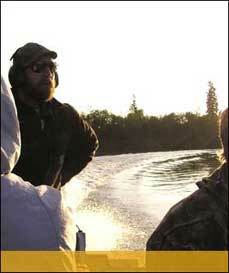 Acord Guide Service is not responsible for any emergency decisions by the Alaska Department of Fish and Game. We also reserve the right to reschedule any trip that was delayed or canceled due to weather or any other scheduling conflict. If we must cancel your trip due to circumstances beyond our control, you may reschedule the trip or receive a refund. Deposits and final payments are not refundable unless the canceling party can fill the dates that they left by their cancellation with an equal or greater package from another party. All fishing ends when the last party member keeps the daily bag limit. 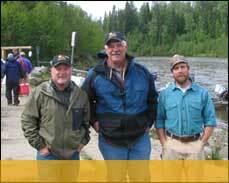 Alaska Department of Fish & Game regulations will be followed.